Disclosure: I received the following Snuggle Pod from Chibebe at no cost to facilitate my review. All opinions are my own and were not influenced. Today in our Holiday Gift Guide event, we have another kids gift, however this one is great for both babies and kids! The item we think would be a great children's gift is a Chibebe Snuggle Pod! The multi-award winning Chibebe Snuggle Pod is a perfectly designed seating solution for infants through to pre high school age. It’s similar to a bean bag in structure, but has been specially designed to provide the best and most consistent support for babies. 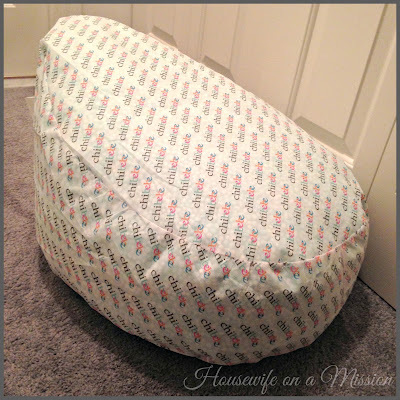 With our Snuggle Pod Baby Bean Bag, your child is safely and comfortably nestled in a resting position, while also being able to interact with the world around him or her. The Chibebe Snuggle Pod seats include a layer of padding in the seat for additional support and comfort. The added padding also suppresses the typical "noisy bean" sound associated with beanbags, creating a "cloud 9" cozy experience. One of the greatest assets of a Snuggle Pod is that it was designed be used from birth right through to pre teens. By simply swapping the detachable harness seat to the toddler seat that's included, it meant your child could continue to use his or her furniture it had owned since birth. My daughter was so excited when her new Chibebe Snuggle Pod and beans arrived! She of course couldn't wait for me to put to it together, so that evening we read the instructions and filled the inner bag with beans. The easiest way to do this is to do it all in the bathtub (making sure the tub is dry), because the beans are so light some of them can fly out of the inner bag. This way, you have easy clean up of the beans! Here is the inner bag filled with beans. I did not use the entire bag of beans-- you do not want the inner bag to be to full, but full enough for a good amount of support for your baby/child. I would say probably 1/6 of the bag of beans was left over. In the bottom left picture you will see the Snuggle Pod with the harness seat, and in the right bottom picture the Snuggle Pod with the toddler seat. Each seat easily zips on and off with no problem, making them great to wash if you get any messes on them! Also, each seat is so soft to the touch! While my kids are no longer babies, I would feel comfortable putting them in the harness seat if I had this when they were babies. 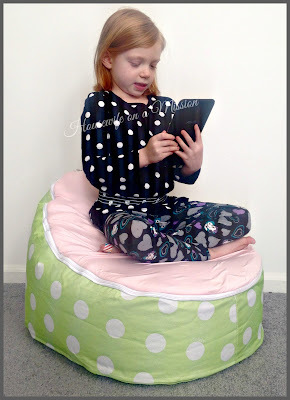 Overall, we really love the Snuggle Pod from Chibebe! This really does grow with your baby from infancy to big kid and there are so many great patterns to choose from, fitting for both boys and girls! My daughter loves sitting and lounging on her Snuggle Pod! Connect: Stay connected with Chibebe on Facebook, Twitter and Pinterest. Buy it: You can purchase a Snuggle Pod on Chibebe's online store for $99.00 There are lots of great patterns and designs for both boys and girls! 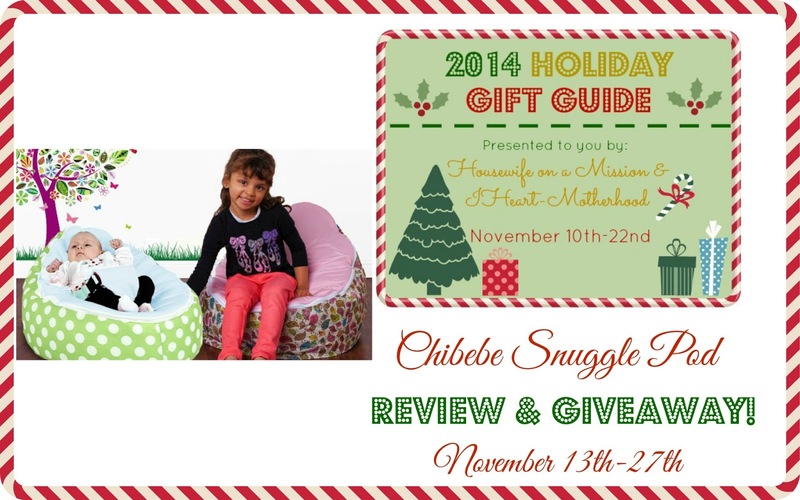 One lucky person is going to win a Chibebe Snuggle Pod! Does not include the 'Chirpy' design. Beans not included, beans can be purchased separately at any craft store. Open to US, UK and Australian residents and ends on 11/27/14 at 11:59PM EST. 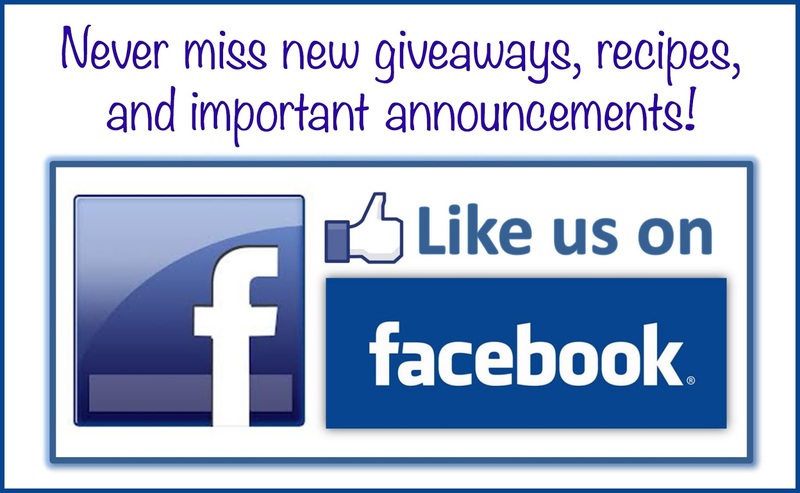 Follow Housewife on a Mission & IHeart-Motherhood on Facebook! 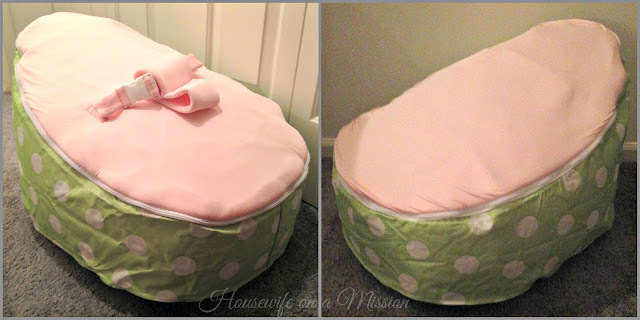 I would love to have the Green Polka Baby Bean Bag - Cream for my little one due next year. My most favorite shuffle pod print is chirpy cream. I know chirpy is not included in this giveaway, but it is my favorite! I like any of the polka dot patterns too in cream. This would be for my 5 & 6 year old, however we would be able to use the infant seat for our foster babies too. 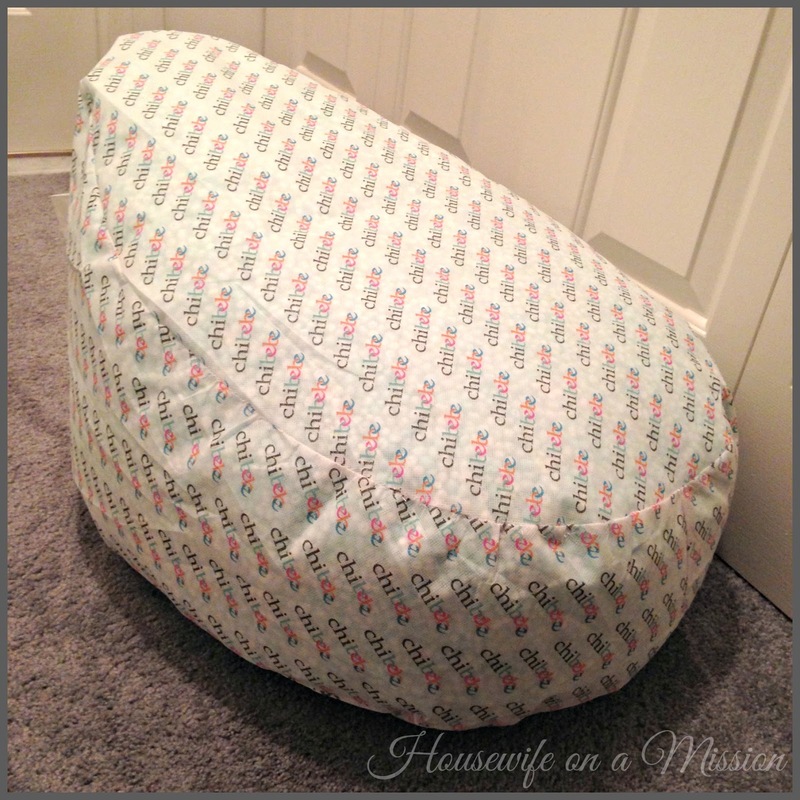 I love the Chirpy Birds Baby Beanbag with the Cream seat and it would be for my new baby coming within 6 weeks or so. I think his brother would also like it too! Hopefully just not when he's in it! !